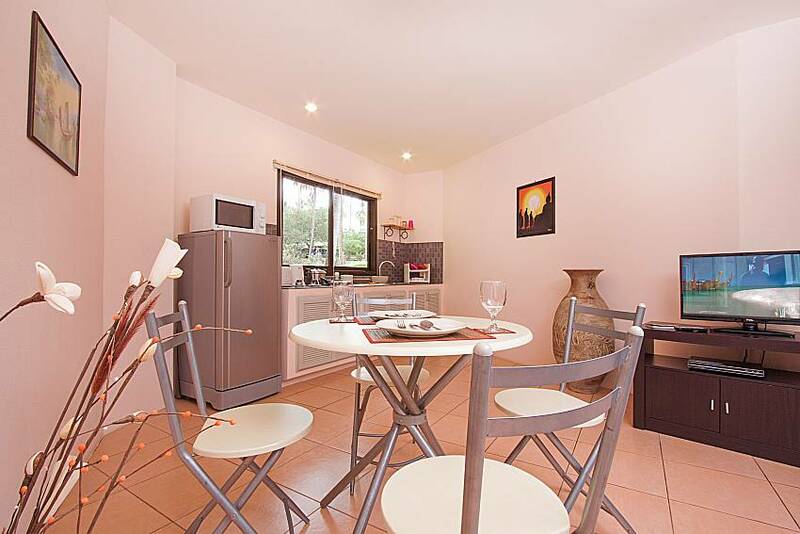 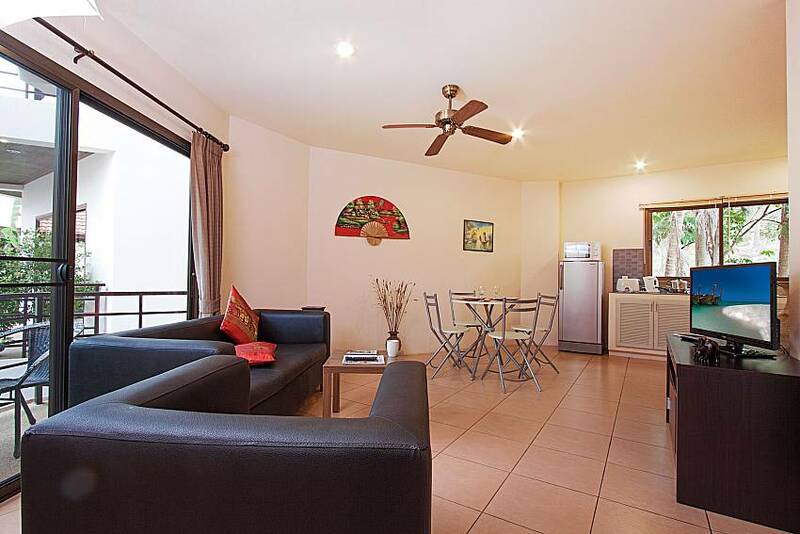 Warm, modern and spacious 1 bedroom apartment with balcony overlooking the communal pool. 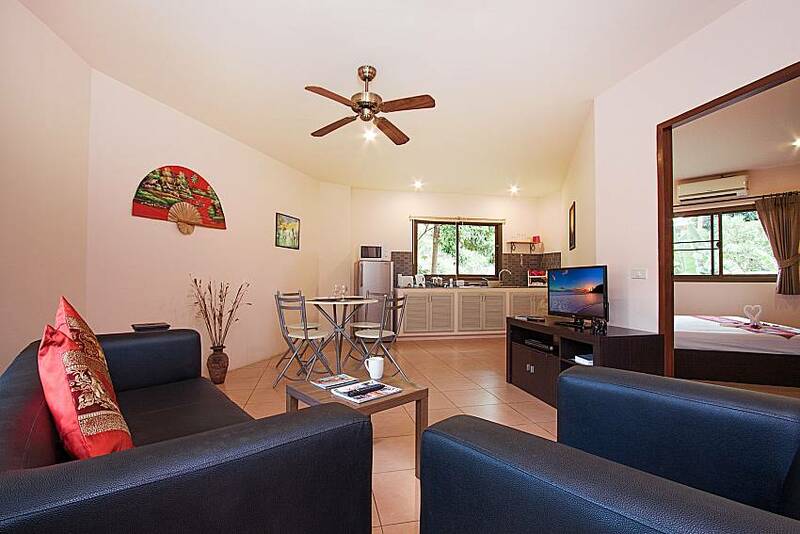 The appealing flat for 2 persons is in a great location and close to 3 main beaches, the nearest just a short stroll away. 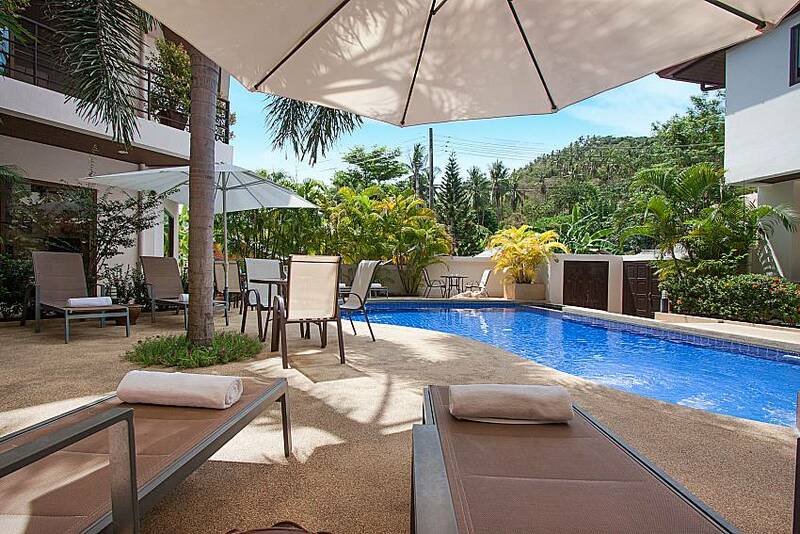 This small and quiet resort has a jacuzzi and a great pool terrace for you to relax and soak up the sun. 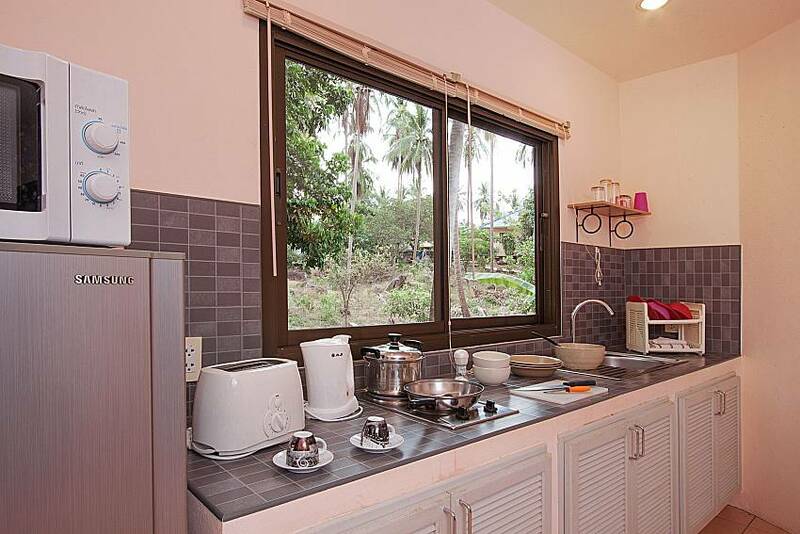 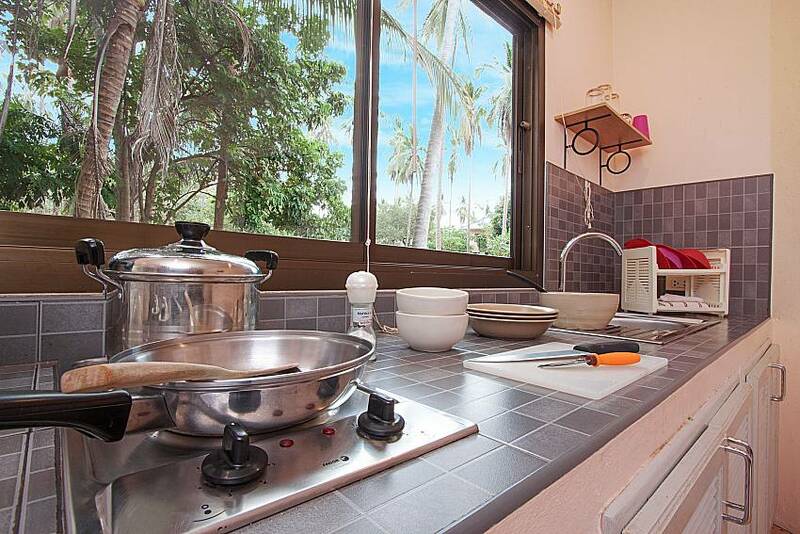 Wan Hyud Villa is an amazing, homely apartment rental with 1 bedroom in Chaweng Noi. 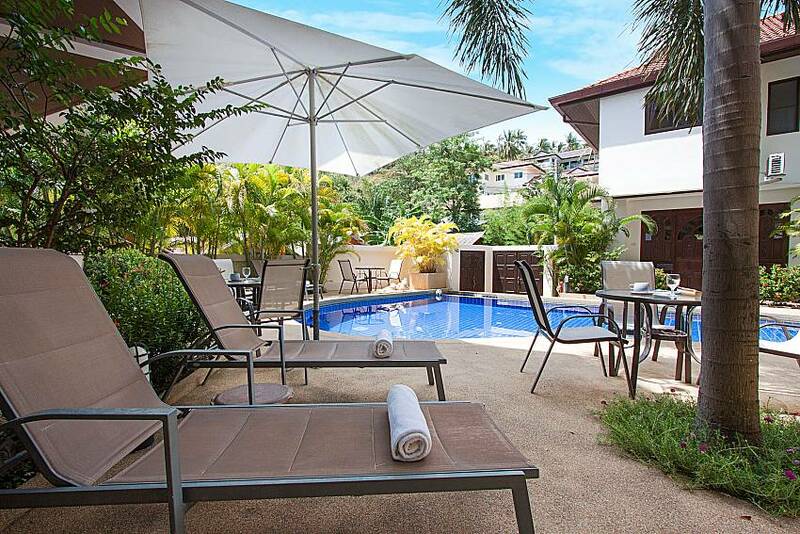 It is part of a small well maintained resort with a beautiful tropical garden and waterfall as well as a jacuzzi and a great outdoor communal pool with plenty of sun loungers for you to relax on. 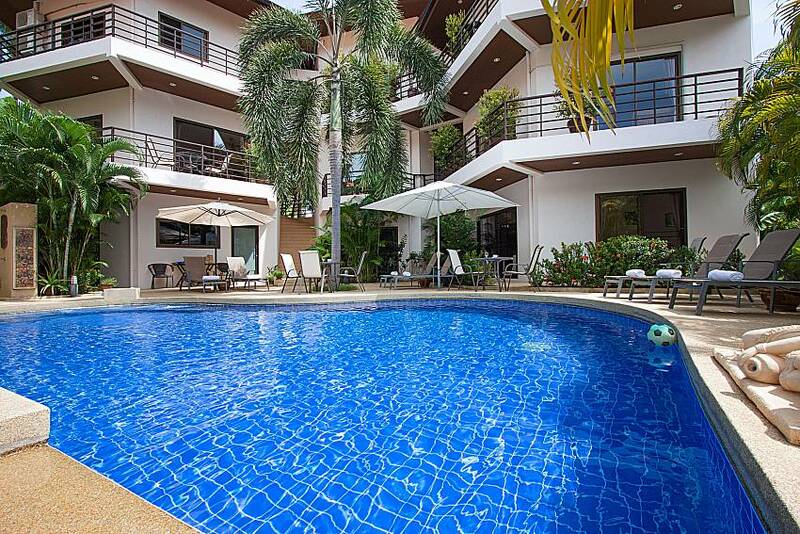 The property isn’t too far from 2 major tourist areas, Chaweng and Lamai and only a few minutes’ walk to a stunning beach. 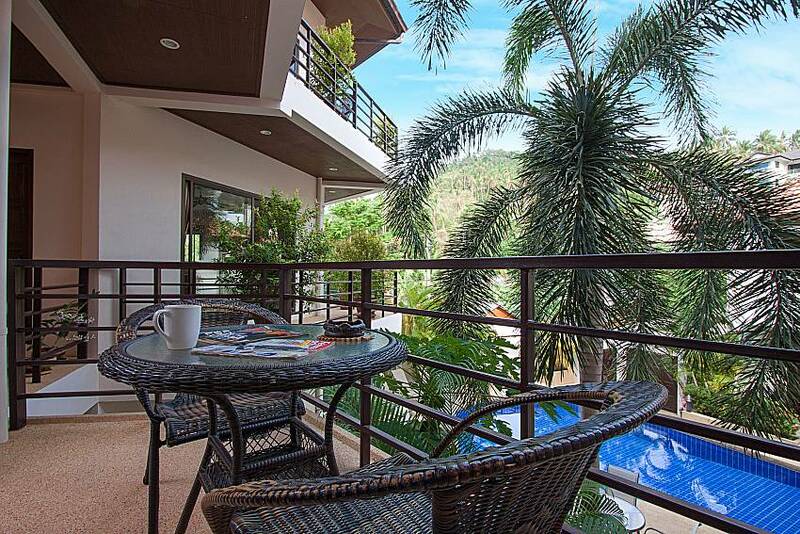 There is free WiFi across the resort that works exceptionally well. 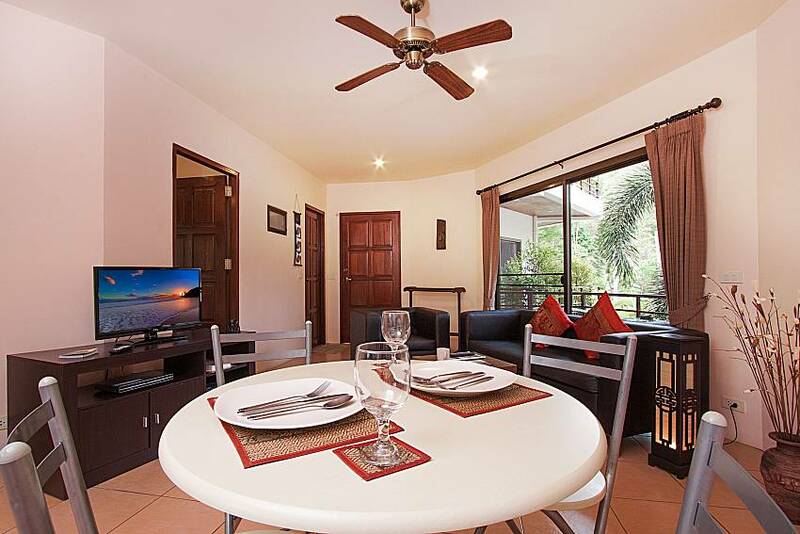 And if you have friends or family who are holidaying with you, or will be joining you during your stay, there are a few other 1 and 2 bedroom properties available to rent. 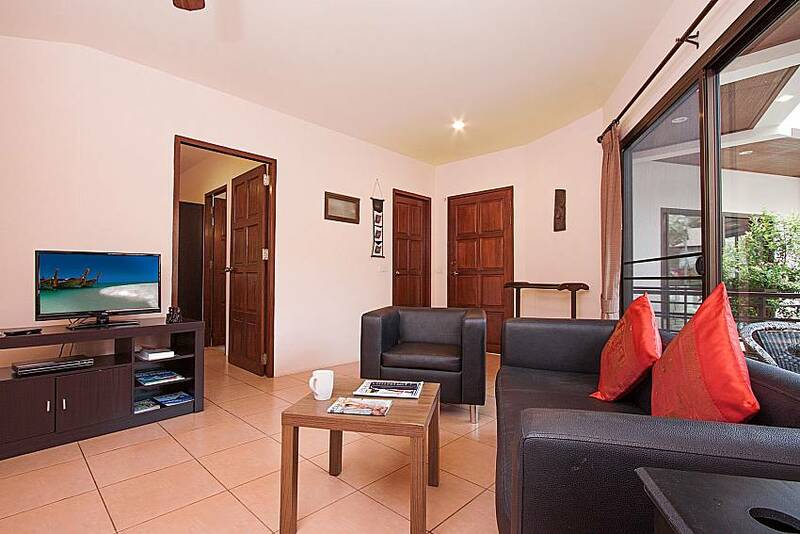 The open plan living and dining area has ample space with simplistic and modern decor. 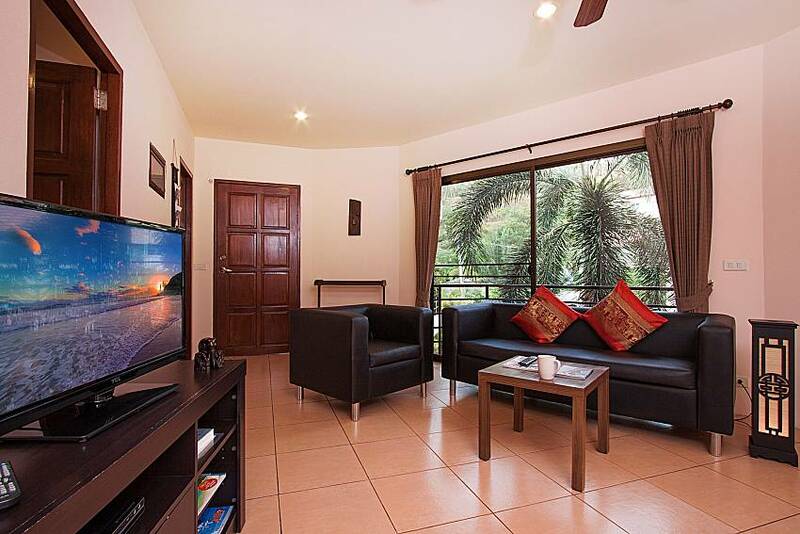 The living area consists of a 2 piece black sofa, table and a flat screen TV with cable TV and DVD player. 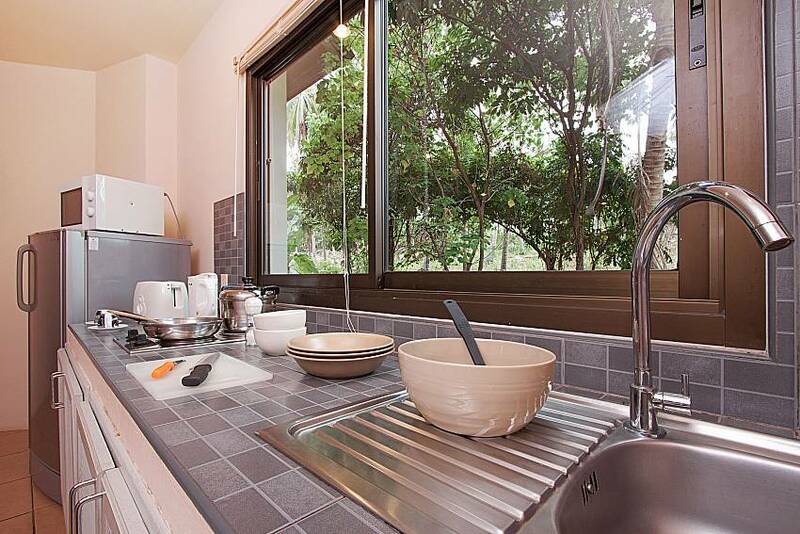 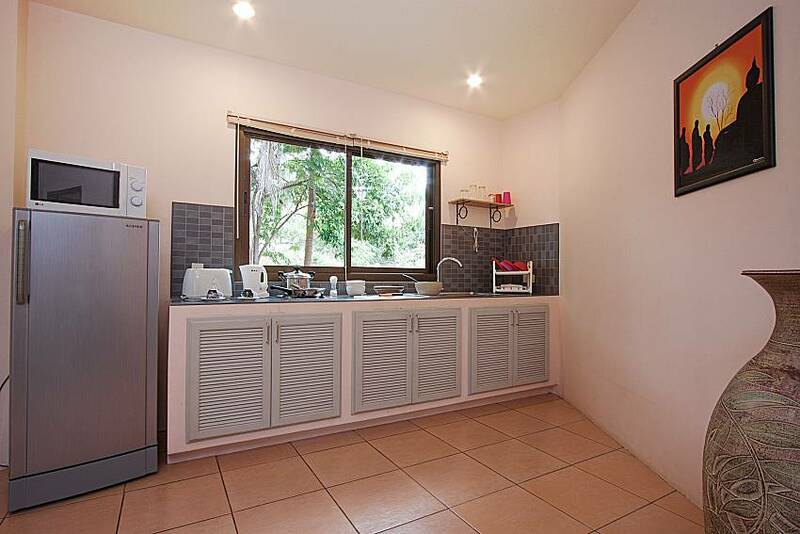 The kitchen has a dining room table and comes with great amenities such as a toaster, fridge, hob, coffee making facilities and a microwave. 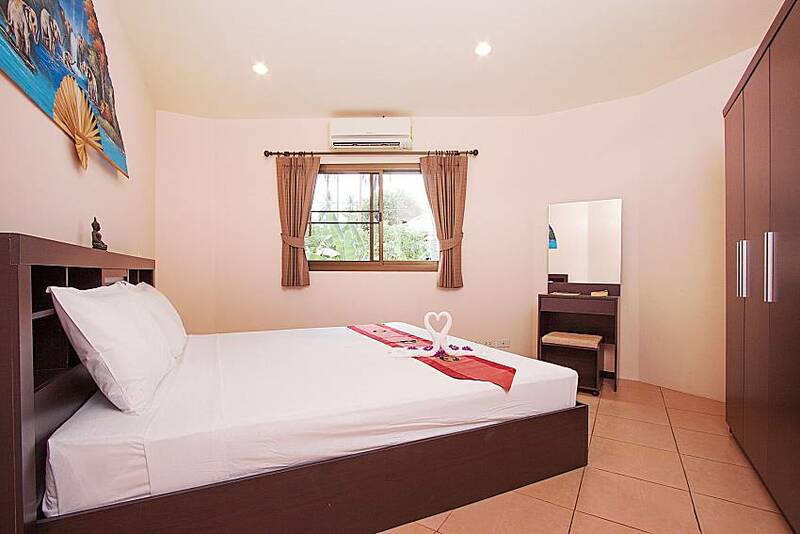 In the bedroom, which has air conditioning, you will find a serene king size bed, dresser and wardrobe. 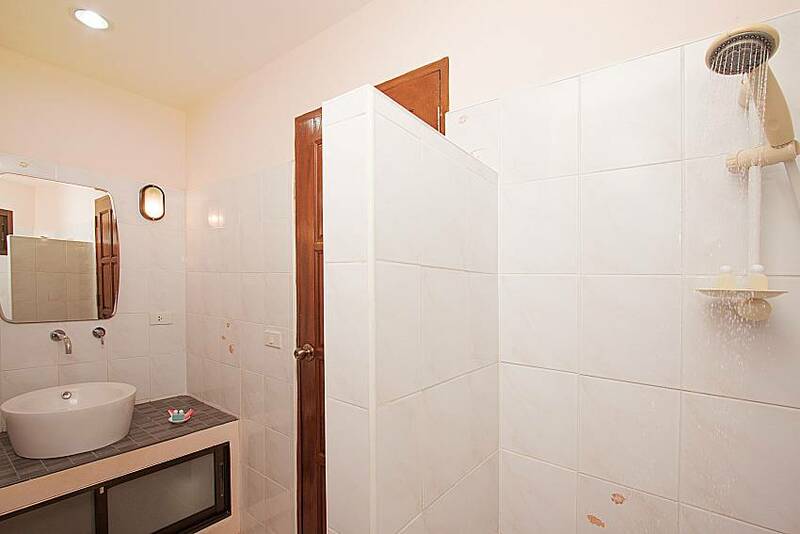 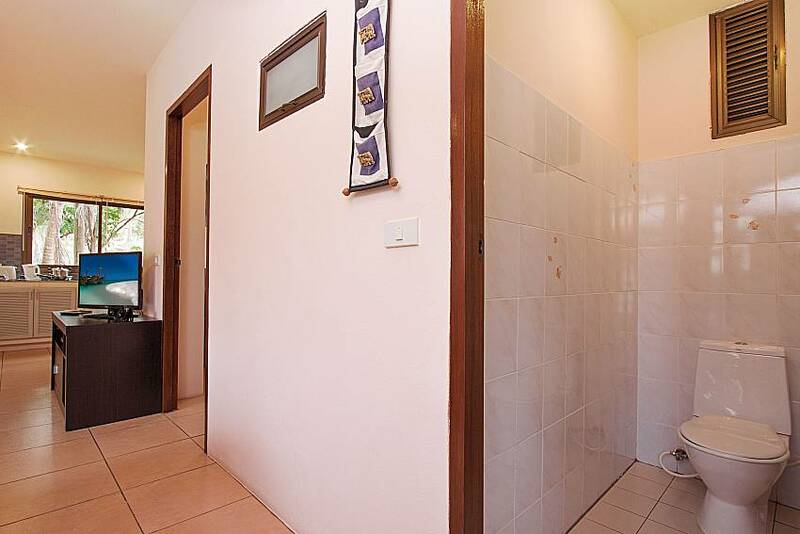 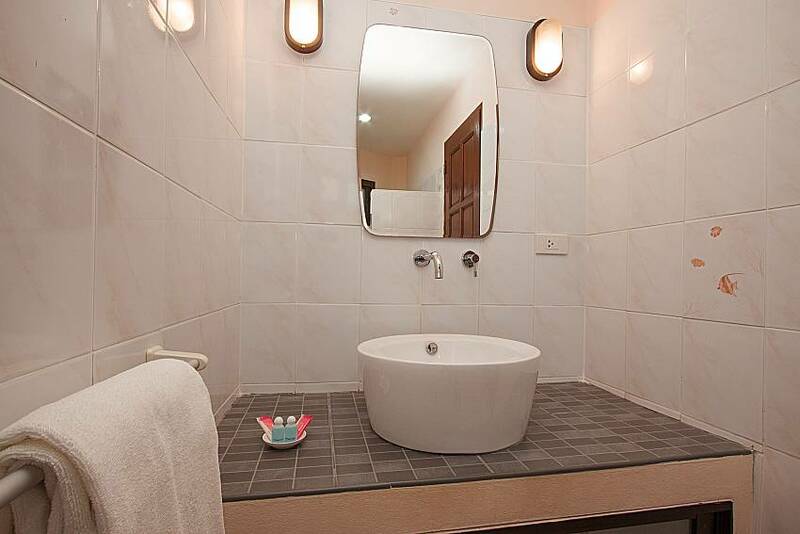 The en-suite has a shower and sink with a separate toilet next door. 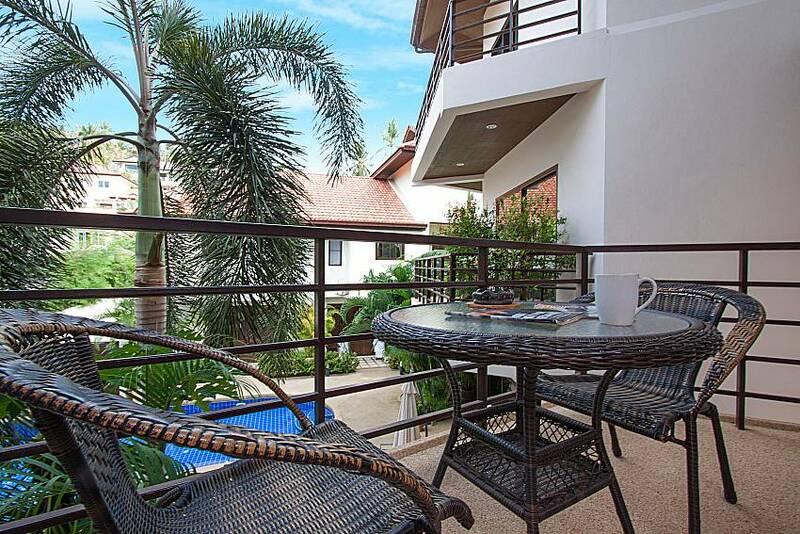 From the living area, patio doors lead you to a delightful balcony, with table and chairs that look out over the pool. 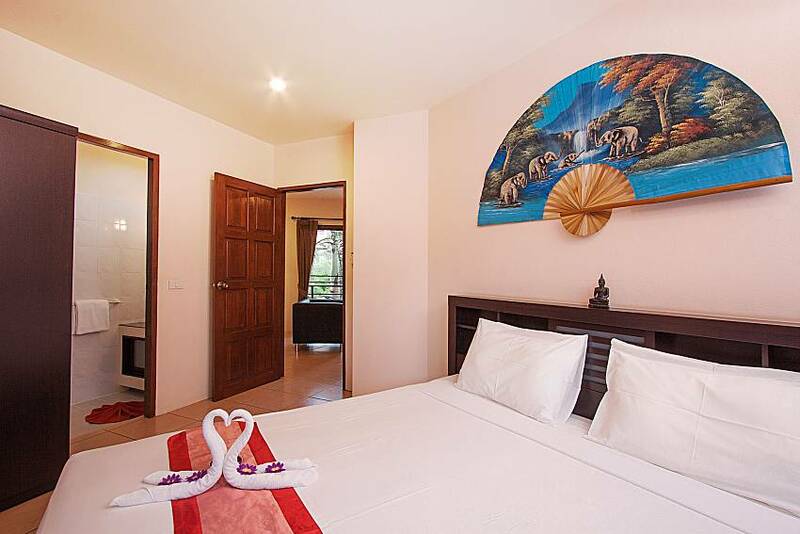 The resort is perfect for beach lovers and there are 3 wonderful beaches that you can reach in a short time. 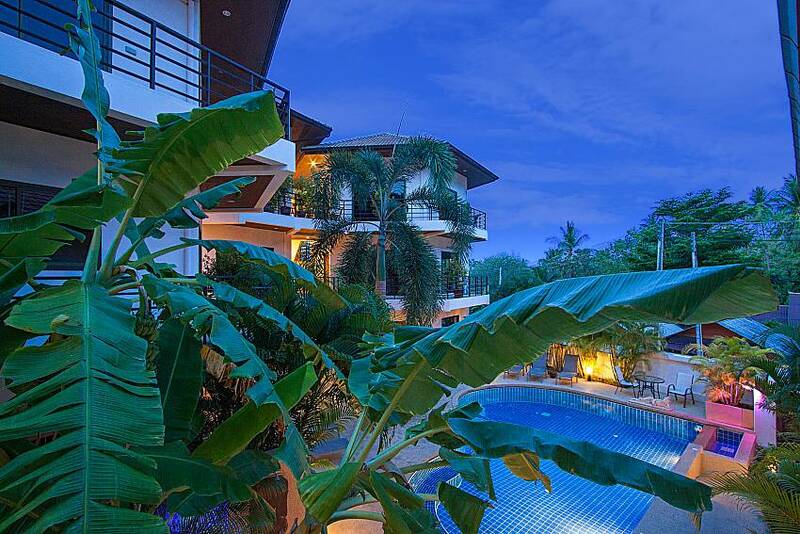 The closest one is Chaweng Noi beach which will only take you a few walking minutes to reach. 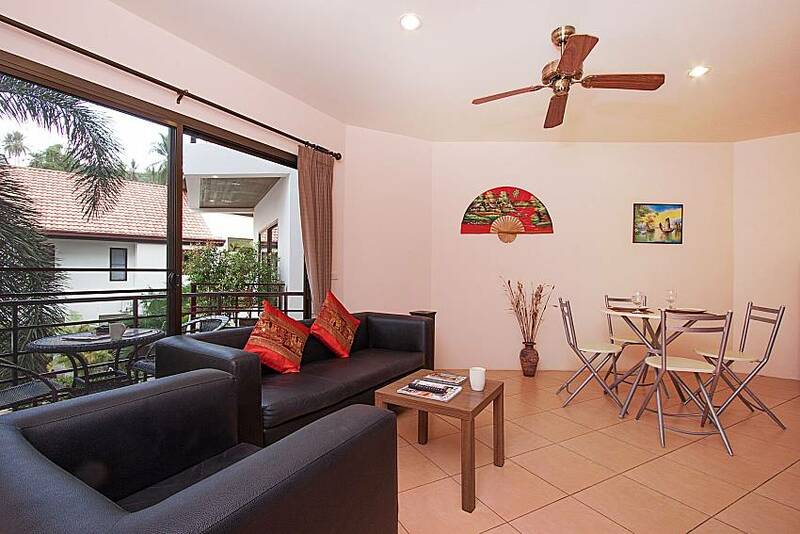 Chaweng beach is then only around 3km and Lamai beach about 7km away from the property. 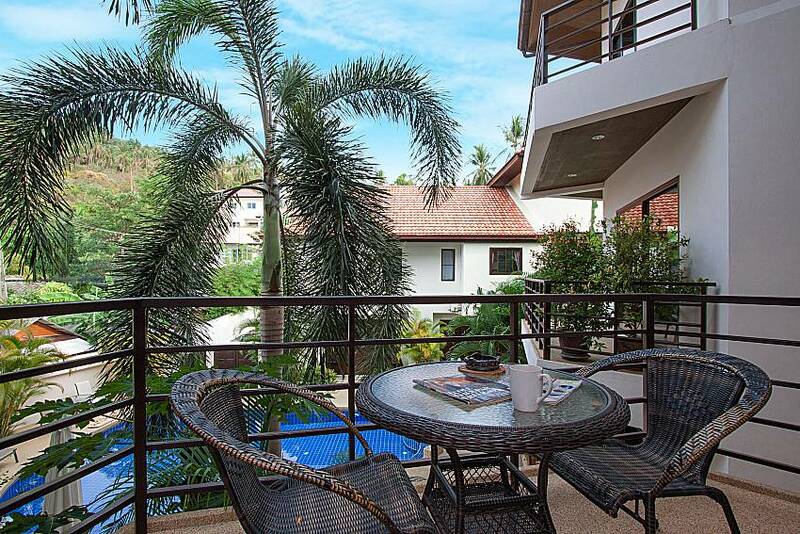 If you are an avid golfer, or would like to try out the sport, the Bophut Hills Golf Club is just 3km from the resort. 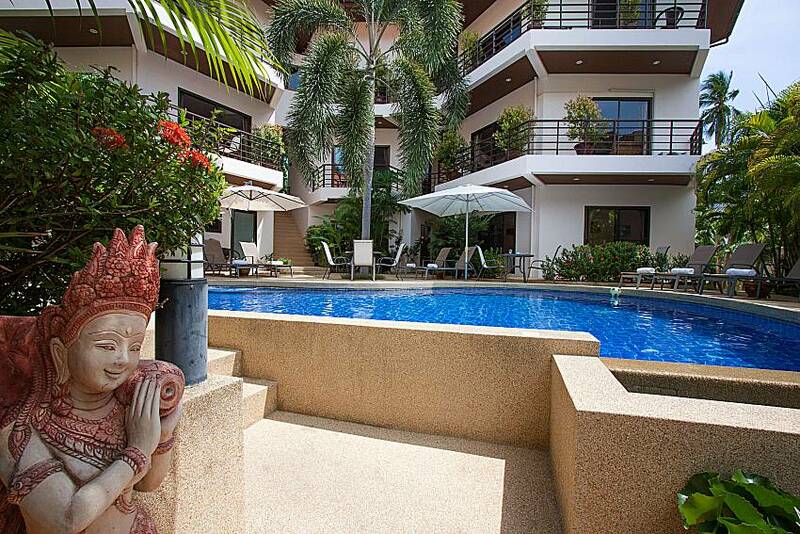 Head into Chaweng, in just a 10 minute drive, for its famous walking street where you can shop, sip on cocktails, taste some traditional Thai street food and watch the occasional street performer. 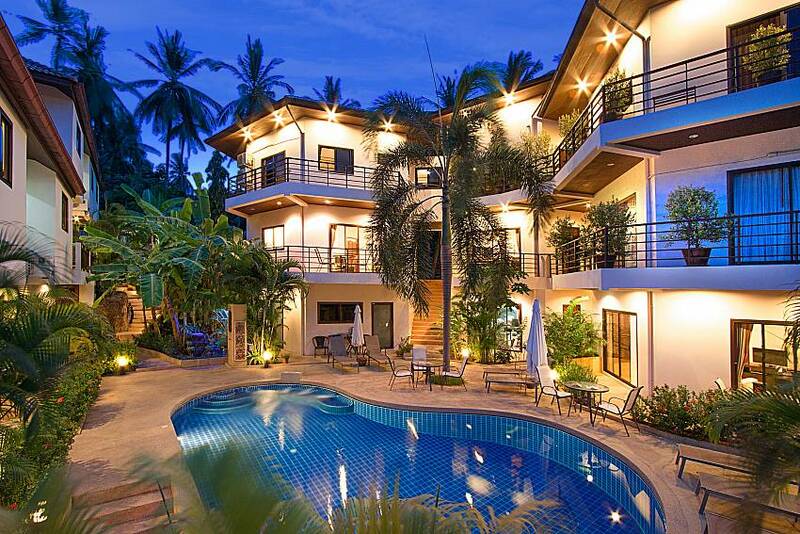 Click here to see many more of our Koh Samui properties.